Few years back when I came across this recipe, I was like what she has prepared a sweet using bell pepper/capsicum ! Never imagined something like this so unique and innovative. I thought why not give a try to see how it tastes. 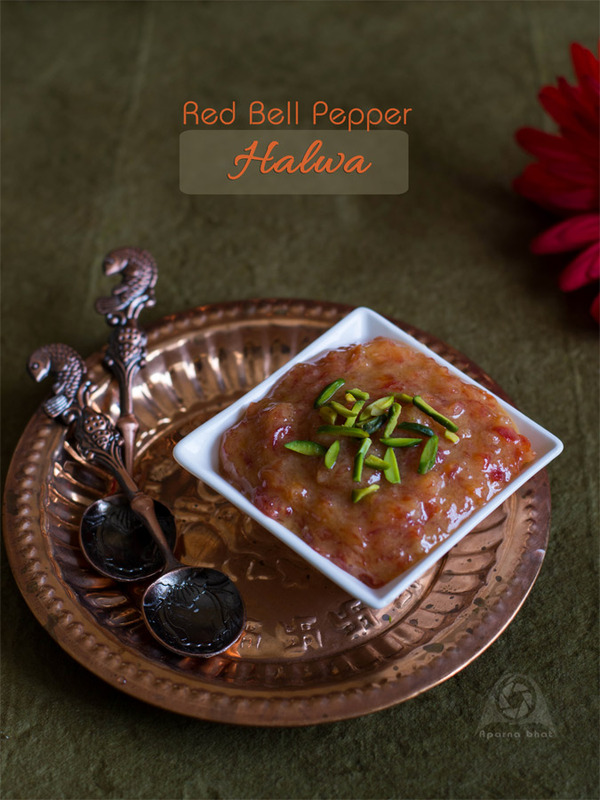 I decided to prepare this halwa with red bell pepper and believe me it was yummy! Wash, clean, cut and deseed the capsicum. Grate it and squeeze the water out. Keep it aside. Heat ghee in a pan. Add the grated capsicum and saute it for a minute. Now add milk and bring to a boil. Simmer the flame and continue cooking till the milk is reduced almost to a dry mixture. Add sugar and mix it well. Keep stirring at intervals until all the water evaporates and the mixture starts leaving the sides of the pan. Add cardamom powder and mix it well. Switch off the flame, garnish with nuts of your choice. 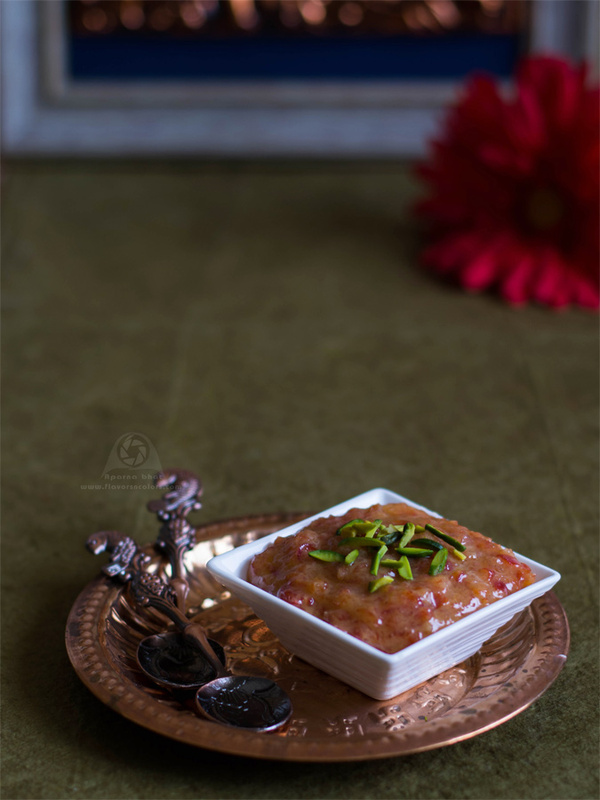 You may add khova/khoya/mawa after adding sugar to enhance the taste of this sweet.